Radical Palace Hotel ARE YOU A VENDOR? 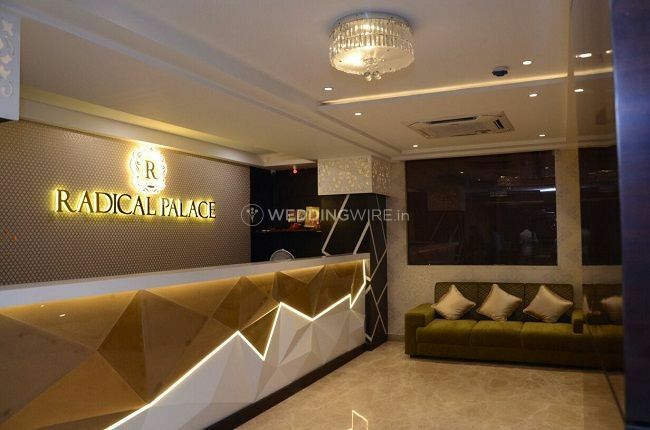 Located in Lucknow, Radical Palace Hotel is a venue available for hosting your wedding ceremonies. 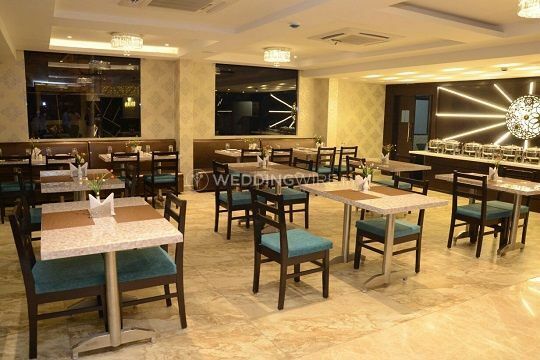 The wedding venue has to meet a lot of expectations of you as well as your family members. 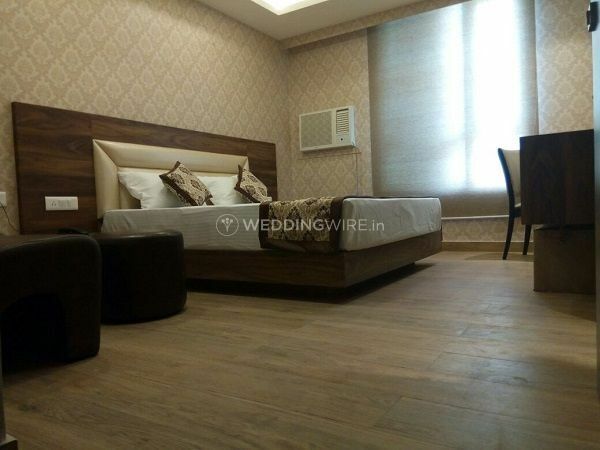 It is not just a pretty place to take pictures and where you take your vows, it is one of the most important facets because it is also the place where you host your friends and family keeping their comfort and needs on mind. Radical Palace Hotel will fit into your box of checklists and at the same time not burn a hole in your pocket by keeping your budgetary concerns on mind. With a capacity of hosting an estimated number of 150 people in the venue, Radical Palace Hotel is an ideal venue for a decent gathering. 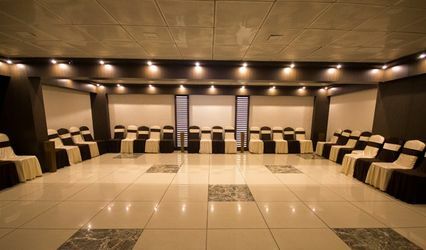 The venue provides you with a list of facilities like basic lighting and electricity with complete power backup to ensure there is no hindrance while celebrating your nuptial ceremonies. 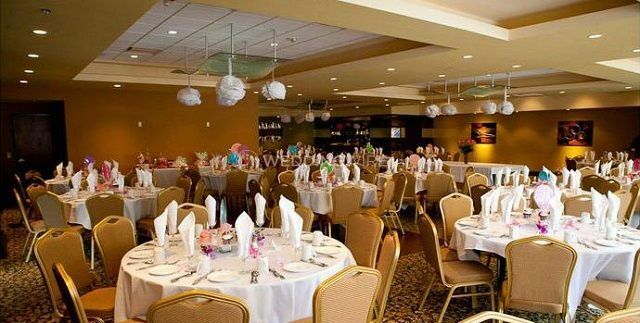 They have a team of professionally trained and well-managed service staff on board to assist you and your guests at all times. They provide you with pre-fabricated furniture in the venue. 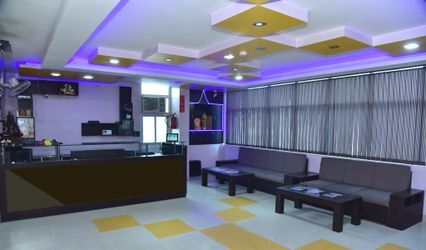 It is located in the city and enjoys a prime location that comes with easy accessibility for you and your guests to arrive conveniently. 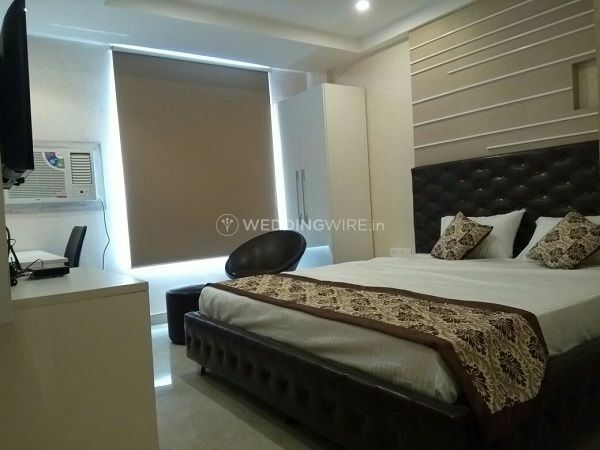 They offer you their lawns, terrace and banquet hall and these are spacious areas for hosting pre-wedding ceremonies like engagement, sangeet, mehndi and so on followed by the main wedding and reception and every other ceremony. 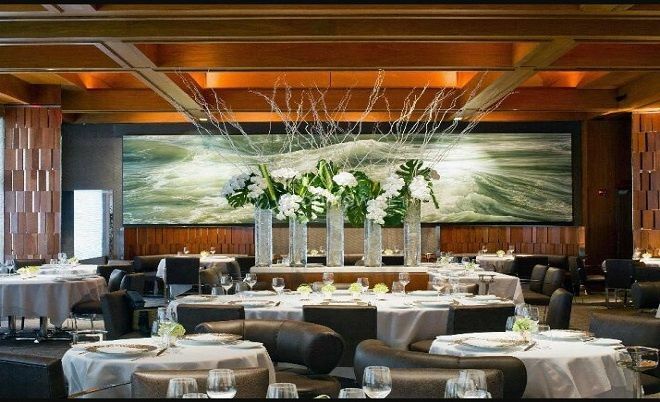 They can assist you with the decoration in the venue with the professional expertise of their in-house decor. They relieve you of your tension of catering services at the venue by providing you with in-house catering services. They have a team of professionally skilled chefs who prepare lip-smacking dishes from a plethora of unconventional cuisines. Their menu includes a variety of dishes from both the vegetarian and non-vegetarian platters. 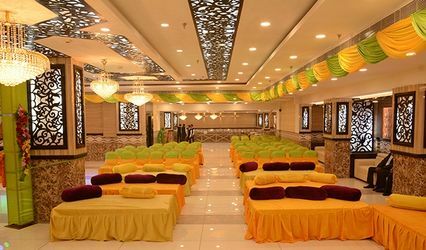 Their flawless services will ensure your wedding is a successful and memorable event.